This is your guide to New York performing arts. 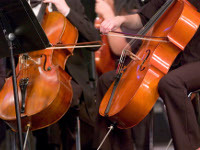 Whether you enjoy the classical arts such as orchestral performances, ballet and opera, or you prefer more modern entertainment such as rock concerts or Broadway this comprehensive guide will help you find performing arts in NY. Find the most elegant and entertaining New York ballet performances. There's no better way to spend a night on the town than to attend a NY dance performance. For a relaxing time, view a beautiful NY ballet performance. Enjoy the best music at one of these New York concert halls. 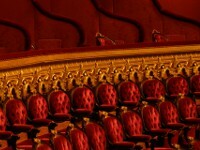 Find concert venues in NY, where you can hear your favorite musical artists. See our complete list of concert halls NY, including the best concert venues in New York. See our complete list of New York theaters. Enjoy great performances and great dining at one of the many NY dinner theaters. Take in the finest shows at these theaters in New York. For a fun weekend out on the town, check out one of these dinner theaters in NY.